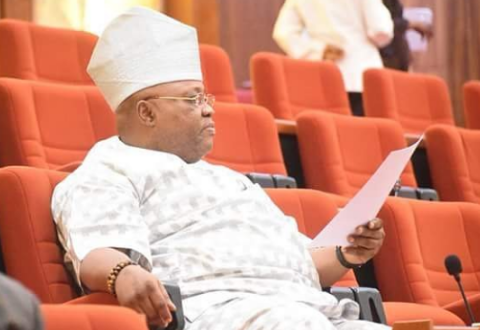 The controversy over the eligibility of Senator Ademola Adeleke to contest the Osun governorship election has been put to rest as the Federal Court of Appeal sitting in Akure has reaffirmed his qualification and eligibility to contest the office. The Court of Appeal dismissed an appeal against the judgement of Osogbo High court which had confirmed the eligibility of Senator Ademola Adeleke to contest for the governorship of Osun state. The Osogbo High Court had earlier ruled that Senator Adeleke is qualified to contest for the governorship having been educated up to secondary school level. The petitioners however proceeded to appeal against the ruling, insisting that the Senator is not qualified and therefore Dr. Akin Ogunbiyi who is the second runner up at the governorship primary should be declared the winner of the primary. The Appeal Court in its ruling dismissed the appeal on three grounds, affirming the judgement of the lower court that confirmed the eligibility of Senator Adeleke. The first ground was that the court has no jurisdiction to hear the case. The second was that the petitioner has no locus standi to file the case and third was that the matter was brought to court outside the stipulated 14 days after the conduct of the primary.